Jeff Henry of Bloomington learned the craft by taking a class with the Central Illinois Beekeepers Association. He has three hives in his backyard. But first, Henry has a smaller problem to deal with—city zoning code. Henry has three hives against his back fence at his Founders’ Grove home, producing enough honey to make bread and keep his neighbors happy. So the father of three was concerned with the first draft of a new beekeeping ordinance that would’ve required his hives to be 20 feet away from his lot line. He’d have to move his hives to the middle of his driveway. For someone with a smaller lot, that might be inside their kitchen. “There’s all kind of signs in grocery stores about tomatoes and cucumbers and green peppers and pumpkins—they’re all pollinated by bees. So if you don’t have bees, you’ll see a lot of foods go away,” Henry told a visiting GLT reporter. “Bees fly in a 2-mile radius. We’re standing here, 10 feet away from the hives, and we haven’t seen a bee. It’s not that big of a deal. Jeff Henry of Bloomington said he's concerned that new city regulations on beekeeping will make it harder for hobbyists like him. The beekeeper changes are one small part of a major, multiyear zoning overhaul underway in Bloomington. Sparked by the city’s 2015 comprehensive plan, the Bloomington Planning Commission and a consultant have been rewriting the entire code—hoping to craft an easier-to-understand guide for what you can do where. “The current zoning ordinance really needed to be modernized. It allows for uses like a telegraph message center, which we probably don’t see too many of anymore,” joked Katie Simpson, the Bloomington city planner. Like other parts of the zoning overhaul, the proposed changes related to beekeeping connect to a goal within the city’s comprehensive plan—in this case, to encourage local food production. That’s people like Henry, who learned the craft by taking a class with the Central Illinois Beekeepers Association. 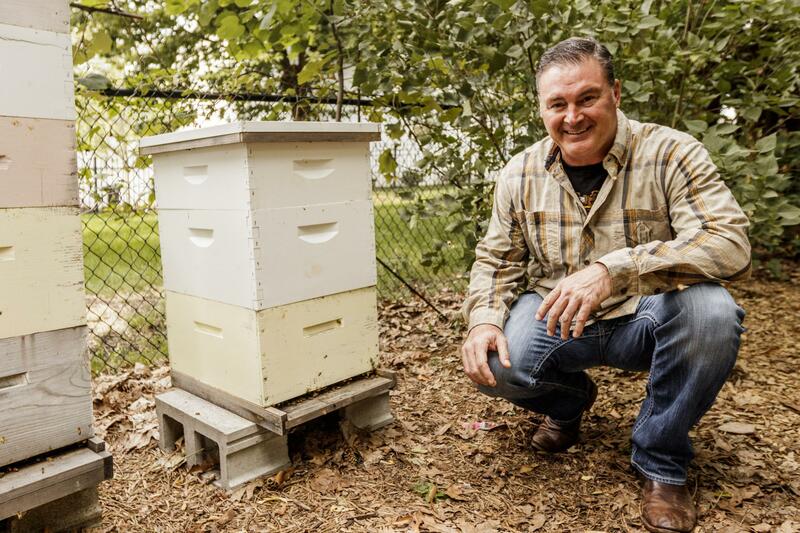 He makes honey under the name Henry Honeys—a nod to his three daughters. Henry voiced his concerns about the zoning changes earlier this year. He met 1-on-1 with Bloomington Planning Commission chairman Justin Boyd. And it worked. 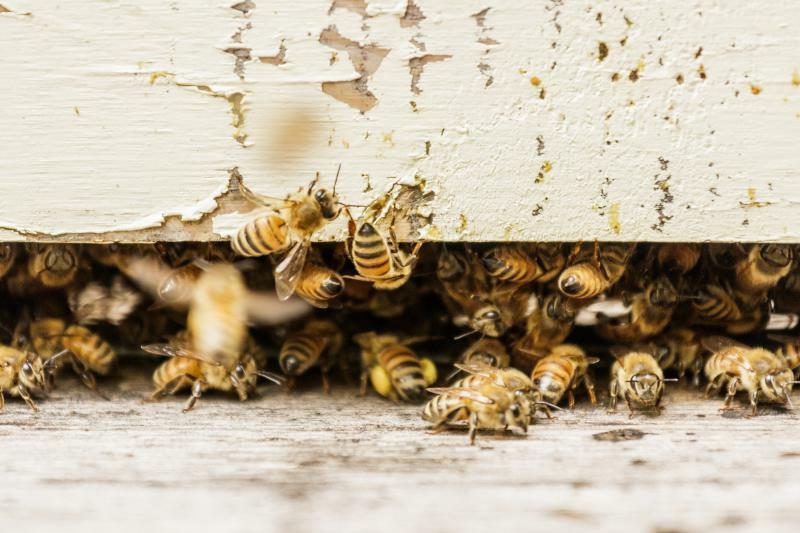 The latest version of the beekeeping ordinance lowered the minimum lot-line distance to 10 feet, down from the 20 originally proposed by the city’s consultant, Chicago-based Houseal Lavigne Associates. 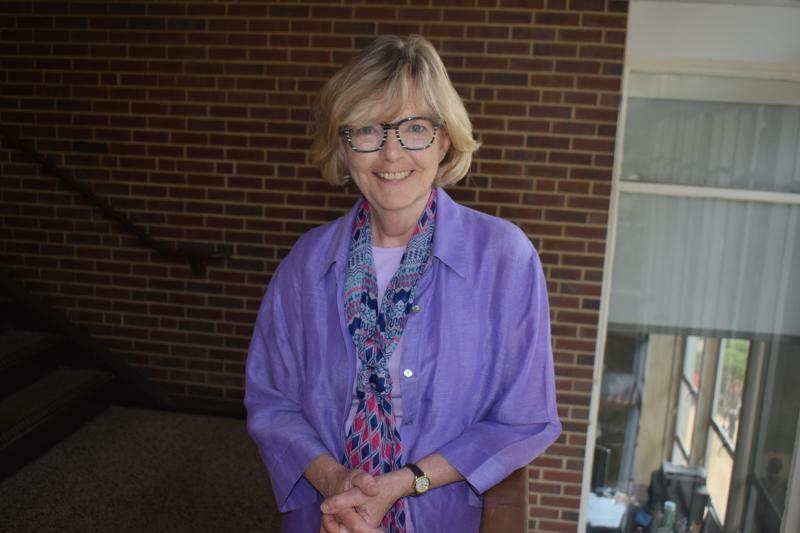 Boyd said zoning code needs to be written for everyone in Bloomington—that’s the beekeepers, and those who may have concerns about beekeeping. “(The beekeepers) have changed the way this proposal was written, just by showing up, speaking at meetings, and emailing and talking 1-on-1 with us,” Boyd said. The zoning overhaul covers a lot more than just bees. Some of the current code dates back to its inception in the 1960s, although there have been some minor changes and cleanup in 1979 and again in 2006, Simpson said. This overhaul started in 2016, when the consultant was hired for $125,000 and the Planning Commission began working on it. They’ve made revisions section by section, and they’re just about done with all 17 chapters. The final drafts are on the city’s website. One of the top priorities was reducing minimum lot sizes. Right now they’re too big, meaning nearly 3,000 residential lots are technically nonconforming. That could make it harder for a homeowner to get a loan, Simpson said. Another priority was carving up the massive 26-block downtown district into three distinct zones, each with its own purpose. Pedestrian access and circulation would be prioritized in the downtown core district and a second “transitional” buffer district. The third area would be a new warehouse district south of downtown geared toward the arts and entertainment, maybe even breweries, Simpson said. “That type of district would allow for live-work art spaces. Urban agriculture—hydroponics, aquaponics. Restaurants, retail, commercial community kitchens. It’s things of that nature that are industrial but tailor more to the entrepreneurial sector,” she said. The zoning overhaul also deals with various transportation goals in the city’s comprehensive plan. It would encourage bicycle parking—a business could offer up to 10 percent fewer car spots if it offers corresponding amounts of bike spots—shared parking between businesses, and electric-vehicle charging stations, while adding incentives for carpooling or car-sharing spaces. "Not that those stores aren't successful, but they'd have to be slammed every minute of every day to fill up those parking lots." “It’s all these kinds of new things that have developed over the last couple years. We need to start planning for those,” Boyd said. One thing it won’t do is eliminate parking minimums—or the minimum number of spots a business must have in its parking lot. That concept is growing in popularity as cities try to make themselves more walkable and greener. 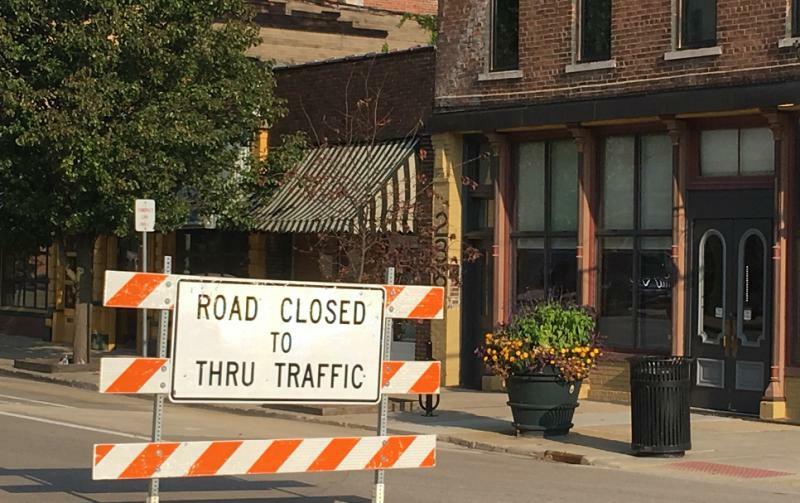 The city is exploring parking maximums of 25 percent, meaning if the city’s zoning code required your business to have at least 100 spots, you could only have up to 125. That will allow for more greenery and landscaping, Simpson said. And reducing the amount of concrete surface area can improve stormwater quality, she added. “Parking is a necessary evil, right? We need it, but it doesn’t always get used,” she said. If you’re curious about what’s in the new zoning overhaul, now is the time to speak up, city officials say. The final drafts are available on Bloomington’s website. 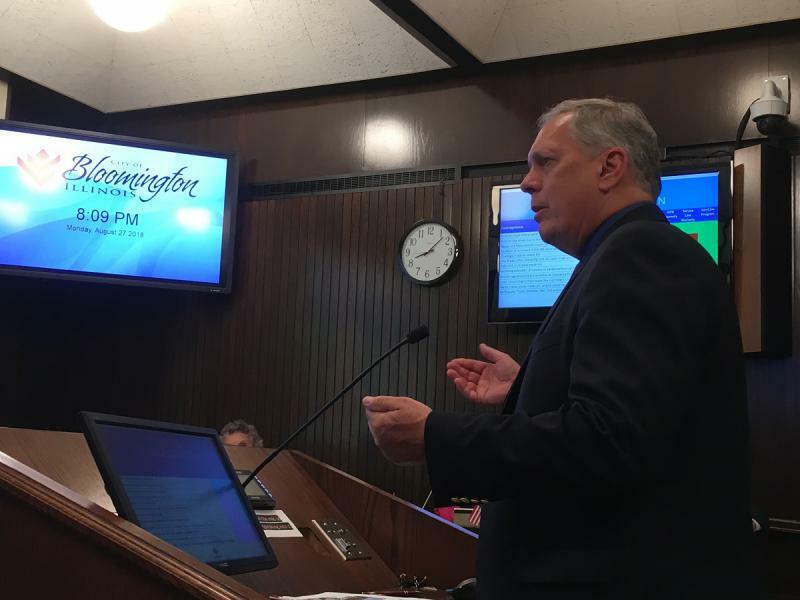 The consultant, Houseal Lavigne Associates, will present the changes to the Bloomington City Council sometime this fall, followed by a community Q&A session and a public hearing. It’s expected to come up for a final city council vote by the end of 2018, said Community Development Director Bob Mahrt. Getting the public involved early on is key, said Herriges, with Strong Towns. “We’ve seen some overhaul efforts really go awry when that grassroots-level conversation hasn’t happened properly,” said Herriges, an urban planner. Simpson stressed that 6,000 community members were involved in the development of the comprehensive plan that underpins the zoning overhaul. Herriges said top-down overhauls can be problematic. The city of Austin, Texas, recently scrapped a major (and controversial) overhaul of its land-use code “due to a combination of significant disruptions to the process.” It cost five years and $8.5 million. Herriges said planning and design professionals can sometimes operate in a “bubble,” and community input helps open that up. “There’s a certain amount of a bubble that exists. Urban density, walkability, mixed use, you take for granted that these things are desirable. Sometimes when our ideas make it out into the public, the reaction is very different,” Herriges said. If approved, Mahrt said Part 2 of the process would then begin—actually rezoning around 450 properties based on the new zoning code. Bloomington is implementing fines starting at $250 for anyone who tries to remove a traffic control device.